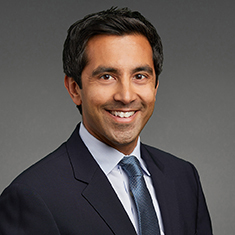 Devan H. Popat is a partner in the Real Estate practice at Katten Muchin Rosenman LLP. Devan focuses his practice on commercial real estate transactions, including acquisitions, dispositions, development, venture formation, finance, property management and leasing. He advises funds, real estate investment trusts (REITs), high-net-worth individuals, operators, developers, financial institutions and insurance companies on all aspects of real estate. Devan has worked on a broad range of real estate assets, including office buildings, multifamily and student housing projects, industrial facilities, retail centers, hotels and resorts, senior housing and health care facilities, self-storage, parking facilities, airports, timberland and vacant land. He advises investors and sponsors in connection with the formation of real estate joint ventures. Devan represents lenders and borrowers in all types of real estate finance transactions, including first mortgage loans, construction loans, mezzanine loans, preferred equity and other structured financings, as well as workouts, loan sales, mortgage and mezzanine foreclosures, and participations. He also represents community, education and philanthropic organizations in real estate and corporate pro bono matters. Shown below is a selection of Devan’s engagements. Representation of an institutional investor with the formation of a $400 million programmatic joint venture to acquire primarily office properties in multiple states, and the acquisition and financing of an office tower in Chicago. Representation of a lender with the origination of a $280 million mortgage loan secured by a Class A office tower in Chicago. Representation of a real estate private equity fund with the origination of mezzanine loans for office complexes in Pennsylvania and Virginia. Representation of a real estate development company with the formation of a programmatic joint venture with a state pension fund to own and develop multifamily properties throughout the country, and the acquisition, development and financing of a multifamily development in Boston. Representation of a real estate development company with the formation of a joint venture with a foreign investor and the acquisition, development and $90 million syndicated construction financing of a multifamily residential building in Chicago. Representation of a real estate private equity fund in making preferred equity investments for the acquisition and development of two multifamily residential developments in Hoboken, New Jersey. Representation of a private investment firm with multiple transactions involving the acquisition, development, financing and leasing of more than 10 industrial properties. Representation of a private equity fund in connection with real estate matters for its portfolio operating companies, including sale/leaseback transactions, acquisitions, dispositions, financings and leasing. Representation of a real estate private equity fund with joint venture, acquisition, third-party hotel management, franchise and financing of more than 10 branded select-service hotels in multiple states utilizing a taxable REIT subsidiary structure. Representation of a company that owns, develops and operates timeshare resorts with the negotiation of development agreements for the construction of timeshare resorts. Representation of a publicly traded REIT in connection with multiple transactions involving the acquisition of more than 10 retail shopping centers in Arizona and 5 retail shopping centers in Texas. Representation of a life insurance company in providing mortgage financing secured by shopping malls in multiple states. Representation of a company that develops, owns and operates senior living communities in the $450 million sale of its rental property portfolio. Representation of a joint venture of senior living community investors and operators in connection with the disposition of a portfolio of licensed and regulated senior living communities across several states. Representation of a publicly traded REIT with the restructuring of several joint ventures for the ownership of medical office buildings and health care facilities in multiple states, and the financing of medical office buildings in several states. Representation of a national hospital system with the sale/leaseback of a portfolio of hospitals in multiple states, and the formation of a joint venture with a university to own and operate a hospital and research center. Representation of a real estate development company in the formation of a programmatic joint venture and the acquisition, development, financing and sale of student housing projects in multiple states. Representation of a real estate private equity fund with the formation of a joint venture for the ownership of parking facilities in multiple states, the negotiation of parking management agreements and the sale of parking facilities in multiple states. Representation of a real estate private equity fund in the formation of a programmatic joint venture and the acquisition, development and financing of four self-storage facilities in Arizona managed by a national brand. Representation of a lender with the origination, workout and deed-in-lieu of foreclosure of mortgage loans secured by manufactured housing communities in multiple states.